Ronnie Smith endorses my Real Bird Bumper! Looks good right there, doesn’t it? I developed the Real Bird Bumper® to solve his own training problems but soon myself making and giving copies to friends. When a local company opened the door to a design-distribution deal I jumped on it. It is manufactured in Bend, Ore. of all U.S.-sourced, non-toxic materials. Available in pheasant and quail sizes, it is the same weight, shape, and size as a real bird. The body is limp and floppy like a shot bird with a loose “skin” to simulate a bird’s. It has an articulated wing to familiarize dogs with the challenges of navigation while “blindfolded,” has no extraneous hard plastic parts to poke a dog’s eye or encourage head grabbing, and it floats. 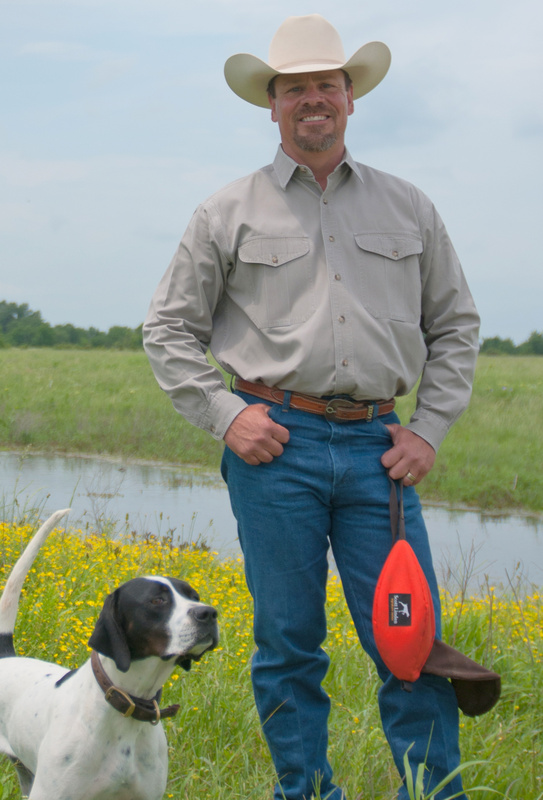 Smith’s endorsement joins that of pro trainer/author George Hickox, “Hunting with Hank’s” Dez Young, NAVHDA founder Ed Bailey, and hundreds of satisfied pro and amateur trainers nationwide. Take a look at it here. The Smith family has been training fine bird dogs for over 60 years. Ronnie and Rick Smith’s training videos, seminar schedule and other information is available here. Awesome news! So where can we get one?? Wyatt would love to have it added to the retrieving bag… Luna might even too. Just go to http://www.realbirdbumper.com and spend all you like! They really work. And thank you Anna.